Credit: Flickr/Darragh O Connor. Some rights reserved. I like to say that India changed my life twice. The first time I was 24. An English major at the University of California, Berkeley, I’d turned down a job offer from McKinsey Consulting in my senior year—I want to change the world, I said, and make music. But a few years of doggy-paddling at nonprofits and singing in cafes on weekends left me confused and disillusioned. Academically I’d been an excessive over-achiever, sure that life was preparing me for big things. This couldn’t be it, could it—my days governed by the geopolitics of cubicles and office gossip, with a brief respite for actual living? I was depressed, and needed something drastic to test my mettle. So I decided to travel around India alone. I couldn’t say why, exactly. Only that the place drew me, and powerfully. I crammed what I needed into a backpack and spent five happy months traveling and freelance writing my way across the subcontinent. Two months in, I found myself in muted overwhelm, desperate for reprieve. In the ancient city of Rishikesh, famous to westerners as the place where the Beatles met their Maharishi, I saw a flyer for a vipassana (or insight) meditation retreat. I took a taxi straight to the ashram, located on the Ganges four miles outside of the city and approximately 700 from Bodhgaya—where the Buddha attained enlightenment. For ten days I sat in silence and stillness, ate vegetable mush for dinner, and focused on my breath. It wasn’t long before strange and beautiful things began to happen. Insights alighted like doves, one after the other. I saw, for example, that I had never loved myself unconditionally—only in reward for achievements. I saw that I was angry and scared, and that these things could, given loving attention, shift. I sat on the ashram roof and held debriefs with God. I found a quiet spot upriver and sang and danced. I was happy, and free. On leaving, I committed to meditating every day. When I returned from India, I had a sense of purpose. I spent the next seven years organizing, singing in, and writing about the global justice movement, with regular times-out to attend vipassana meditation retreats. I applied my intemperate drive to rigorously and exhaustingly striving to transform the world and myself. Meaning had returned to life. The second time I visited the subcontinent I was 33. I had just completed my Masters in Fine Arts in Fiction at the Iowa Writers’ Workshop, and I’d received a Fulbright Scholarship to work on a novel in Varanasi, where I’d spent a week nine years earlier. Varanasi is also a holy city on the Ganges. According to the scriptures, death here puts an end to the harrowing cycle of samsara, or reincarnation, and brings about total liberation. But modernity, in the form of rampant urban growth, has not been kind to the place: the streets are filled with barely-moving traffic, the sidewalks with crowds of people. After a couple of weeks, strange things again began to happen. This time, however, they were different. I found myself assailed by a rising tide of anxiety. There had been some strong prior hints, but in Varanasi I careened right off the cliff I’d unwittingly been skirting. My stomach—which had survived the on-the-cheap vagaries of five continents—fell apart, and two courses of antibiotics couldn’t put it back together again. I found a lump in my breast. I couldn’t find an apartment. The fear just kept growing. I stopped sleeping and fell into a hole the likes of which I’d never suspected existed inside me. “I don’t know what’s happening,” I said over the phone to the Fulbright director in Delhi. “This is so… weird. I meditate every day. And I’ve done, like, a whole month on silent retreat. I know my mind.” That month, spent at the Insight Meditation Society three years earlier, had not been easy. I’d say a full three weeks of it had been hell—but it was, in hindsight, the second circle kind of hell. This was the more like the ninth. He made soothing noises and suggested I see a therapist. Over the following weeks I began to see the deep fracture in my life: most of my days had been dominated by drive and adrenaline, while I tended to the spirit by slamming on the brakes for compensatory periods of silence and stillness. I have an Indian friend who views meditation retreats as a kind of penance. Here in the west, we rush about achieving and consuming, she says, and then we go meditate to expiate our sins. As an activist, I may have been offering a radical critique of consumer culture, but I certainly wasn’t immune to its hyperactivity. The inability to rest—the constant running, pushing and achieving—were a culturally-applauded sublimation of the fear and rage I wrestled with on retreat, and they took their physiological toll in the form of adrenal exhaustion. The fracture in my life was no more than a mirror of the fracture in my psyche, which had its roots, as I began to see, in events that had happened many years earlier. In the end, I cut my Fulbright short and returned from India to navigate my way through a breakdown. It wasn’t pretty. It felt as if everything good inside me had been tossed on one of Varanasi’s funeral pyres—my creativity, confidence, and capacity for happiness. Who was this petrified, tortured woman, this ghost of my former self? For months, I was so exhausted that getting dressed felt onerous. I had to scrape together all of my courage to go to the grocery store. I attended a few week-long retreats that were more or less extended encounters with unabated terror and self-loathing. And the five years since my return have resembled a drunken waltz: fall down and get back up, again and again, the falls growing gradually less paralyzing as I learned how to fall and how to relax both my body and my expectations. I don’t blame meditation for any of this. Indeed, it was a huge support in numerous ways, not least of which was the ingrained mental refrain to focus on the oatmeal on the stove, the fluttering leaves, or the breath in my belly—on what was present and actual rather than the fireball in my chest. And meditating alongside the terror certainly gave me some significant, if unasked-for, experience of my own mettle. Nonetheless, ultimately it wasn’t enough to watch the madness, to greet it with awareness or even metta (loving kindness). 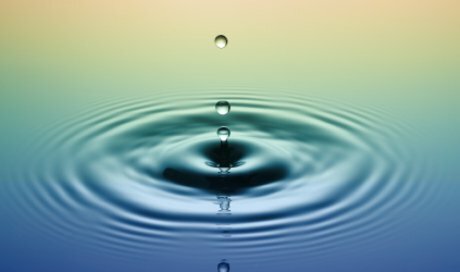 There has been much discussion in the media lately about the limits, and even the dangers, of mindfulness. There are stories of meditation inducing confusion and panic attacks, and of retreat experiences leading to depression and psychotic episodes. While these stories of psychological incapacitation are rare they do raise important questions. Western culture has bought selectively into Eastern practice—there are currently 700 mindfulness apps available and counting. So what to make of this reputed dark side? Does meditation have ominous powers? Drawing from my own experience, I say no. Meditation does not wield dark esoteric powers, but rather draws away the veils covering existing darkness in our own psyches. These veils usually exist for good reason: they are the psyche’s brilliantly inventive answer to violation. Depending on one’s history, meditation may be an insufficient response. Or it may be the wrong medicine entirely. There’s an oft-repeated story of the Dalai Lama’s first visit to the Insight Meditation Society in Massachusetts in 1979. In a meeting with western Buddhist teachers, he was asked about the phenomenon of self-hatred. Despite his translator’s efforts, he was baffled by the term. Buddhism has adapted to numerous cultures over 2,600 years, but in the west it’s only in its second generation—barely pubescent. It is still molding itself to the western mind. Western teachers are currently negotiating how to teach an integrative practice, one that incorporates communication and diversity, social justice and relationships. And western Buddhists are just beginning to grapple with contemporary understandings of trauma—not only the shock of individual experiences of war and abuse, but also the injuries of collective oppressions such as racism and homophobia. Suffice it to say that for any individual with a traumatized nervous system, sitting in silence and focusing attention on the body is not always the right response. In eliminating or minimizing external inputs, unconscious material rises to the fore. This is precisely why meditation is such a powerfully healing practice—and also why it can trigger a traumatic reaction. If meditation is a response to trauma, then it requires a very skillful teacher. As for me, while I am grateful for meditation, it wasn’t enough. I feel fortunate to have found other tools to help pry aside the darkness and expose what lay even deeper than the fear and pain: an original sense of joy, a spontaneous creativity, an integrated presence. I didn’t want my dark night of the soul, and the truth is I wouldn’t wish it on my worst enemy. But on stumbling my vertiginous way out I discovered myself happier than I’d ever been. The breaking, I’ve come to see, was a crucial part of the healing—the psyche’s radical stab in the direction of wholeness; a death in service of rebirth. A friend recently suggested that I may have been better off never meditating or journeying to India. I disagree. Yes, I may have stayed stable—but I would still have been driven by what lay buried in my unconscious. Breakdown forced me to face it. I had no choice: I had to relinquish control. And perhaps that’s where the greatest transformation is born.